Home > Blog > No Time to Cook? 8 Ways to Make Easy Healthy Meals Faster! No Time to Cook? 8 Ways to Make Easy Healthy Meals Faster! Holidays are hectic. Between celebrations, family visits, final exams, shopping and travel it seems like everyone, at every stage of life, is overly-busy. The end-of-year craze can be charming, but it also takes a toll on your heard-earned healthy lifestyle and home-cooked meal routine. So, if you’re struggling to get an easy, healthy meal on the table each night, check out these eight ways to make life a little bit easier! The first, and maybe most time-consuming, part of getting a wholesome meal on the table is meal planning. It’s an investment of time upfront, but it makes your whole week easier once it’s done. Without planning, it’s too easy to come home after a long day and just grab some popcorn or order takeout before crashing in bed. Stay one step ahead of the game and plan your meals out ahead of time! Still, there’s no need to create an elaborate menu – or anything close. It’s perfectly okay to plan no-cook meals like a turkey sandwich or yogurt & cereal! Already overwhelmed just thinking about the prospect of meal planning each week? Check out Pepperplate! This app lets you plan a whole week’s worth of meals from your phone or computer. Simply add recipes using URLs from your favorite recipe sites (or add them manually), and then decide what to eat when. From there, Pepperplate will generate a grocery list and nicely-formatted schedule for you! We love this app because it’s free, available on both your phone and computer, and easy to use. Check it out! Pre-prepped produce makes easy, healthy meals possible even for the busiest of home chefs. When you get home from grocery shopping, take the time to wash and cut your veggies for the week. If you’re making smoothies, chop and freeze your fruit. An easy way to organize the food is to portion-out how much produce you’ll need for different recipes into containers or zip-lock baggies, and then throw it in the fridge or freezer. That way, all you’ll need to do on crazy weeknights is throw everything in a pan and go! Had a few too many close calls with your fingers and the kitchen knife? Or just hate chopping endless produce? Consider a vegetable chopper! These nifty gadgets chop vegetables and roots with the simple push of a lever. No knives needed! Better yet, several companies make choppers that drop your freshly-chopped produce into a little plastic container. This makes it even easier to sort and store your fruits and veggies for the week ahead. Prepped veggies make life so much easier that companies have started to capitalize on this market of convenience. If you’re not ready to commit to an afternoon of vegetable chopping, consider buying some ready-to-use veggies, fruits or proteins. They’re typically a little more expensive than the original versions, but it’s still way cheaper (and healthier) than takeout! For example: love salad, but hate prepping all the ingredients? Check out your local grocer’s salad kits! These awesome products have the lettuce, toppings and dressing all in one bag – all you have to do is pour it in a bowl and stir. If you’d like a more hearty main dish salad, add a little grilled chicken or tuna to one of these kits. For some more creative options, check out our Pinterest board full of quick, easy recipes! There are also tons of bloggers that devote special sections of their site to this topic. For example, check out Two Healthy Kitchens‘ site. THK has a whole section devoted to easy dinners, plus organizes recipes by the main ingredient (e.g. chicken, beef, etc.) to make your life even easier. It’s super-helpful to follow a few Pinterest boards/users and blogs if you know you’ll be busy for a while and need some extra inspiration for quick, easy and healthy meals! Leftovers are a lifesaver. Many people, especially families, cook a new and different dinner every night. While this is awesome if you have time to cook each night, it’s not really necessary. Instead, cook enough for two meals and eat leftovers the second night. This is a huge time-saver both in planning and cooking. In many cases, it’s also cheaper – especially if you just increase the amount of grains and/or veggies without buying double the meat. If you (or your family) don’t like eating the same meal twice, cook with leftovers in mind. Make something simple like baked chicken or fish the first night, and then dress it up the second night. For example, leftover baked chicken makes great enchiladas or chicken salad. Leftover fish is wonderful for fish tacos. A different sauce and presentation can make all the difference! Need leftover storage, but don’t have space to store unlimited Tupperware containers? Check out these Stasher bags! These awesome silicone zipper-top baggies are air-tight, reusable and long-lasting. Plus, they’re good for you and for the environment since they don’t contain any plastic or BPA. The coolest part? You can boil, bake, microwave and freeze these handy bags, so they work as your go-to for everything from cooking to storage! Stasher bags come in various different designs and colors, and three different sizes: snack, sandwich and half gallon. Meal delivery services are on the up-and-up. Programs like Blue Apron or HelloFresh plan the meals, buy and portion the ingredients, and then deliver the food and recipes straight to your house! These companies take the work out of home-cooking by doing all the planning and prep for you. All you have to do is cook and clean! Best of all, meal delivery service programs put an emphasis on health so you can be assured you’ll receive fresh, often local ingredients and learn to prepare them in healthy, sustainable ways. Environmentally-conscious? We love Sun Basket! This meal delivery service offers a Classic plan (2 or 4 person) with 3 recipes per week for $9.99 per serving, or a Family plan (4 person) with 2-4 recipes per week for $11.99 per serving. Both plans are available in “chef’s choice” (normal diet), paleo, “lean and clean” (clean eating, meals about 550 calories each), gluten-free or vegetation options. Sun Basket’s meals are delicious, easy to prepare meals and very accommodating of dietary restrictions. The ingredients also some in highly-recyclable packaging so you aren’t producing a ton of extra waste. The downside: this service is slightly more expensive than some of its competitors (or traditional groceries). Most cities offer prepared meal delivery services as well. These programs are great if you’re willing to spend a little more for already-prepared food delivered straight to your door. Nothing beats the convenience and these services often offer meal plans specifically tailored to weight loss! Some national companies also offer similar programs. Living in Charlotte? Fit You Meals can help feed you and your family, even when you don’t have time to shop or cook. This family company offers various meal plans that can accommodate both individuals and families – either during the work week alone, or on weekends as well. Best of all, this company grew out a personal commitment to well-being so they take special care to prepare meals using the healthiest ingredients and cooking methods. Fit You Foods allows for meal customization and can accommodate individual dietary restrictions as well. Could a program like this help you achieve your weight loss goals? At this company, 10 meals per week costs $98.95, or $9.90 per meal. They also offer smaller and larger plans, or individual meal delivery. If the meal you select has more than one serving per box, be realistic with yourself about whether you’ll eat just one serving. If you’re much more likely to eat the whole container, make sure to calculate nutrition based on the whole thing – not just one serving. Don’t have time to read the nutrition label of every meal in the frozen food aisle? Try Beetnik’s Grass Fed Beef Stroganoff! This delicious main dish is organic, gluten free and fits the above guidelines to a tee. With 9 of 10 customers recommending their frozen meals, the Austin-based frozen food company was awarded a 2017 Women’s Choice Award. Beetnik foods are available in grocers across the country. Do you do any of these things to help get dinner on the table faster? Or do you have a few tricks of your own? Share with us in the comments section below! Phentermine is a weight loss pills. If you are worried due their weight and finding the best weight loss solution. 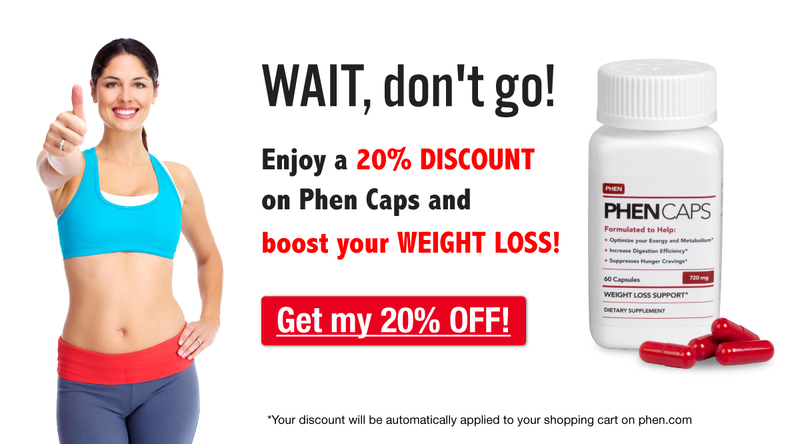 Use phentermine medication, this is the best to reduce weight instantly. I have already used this medication and 10 kg in one month.